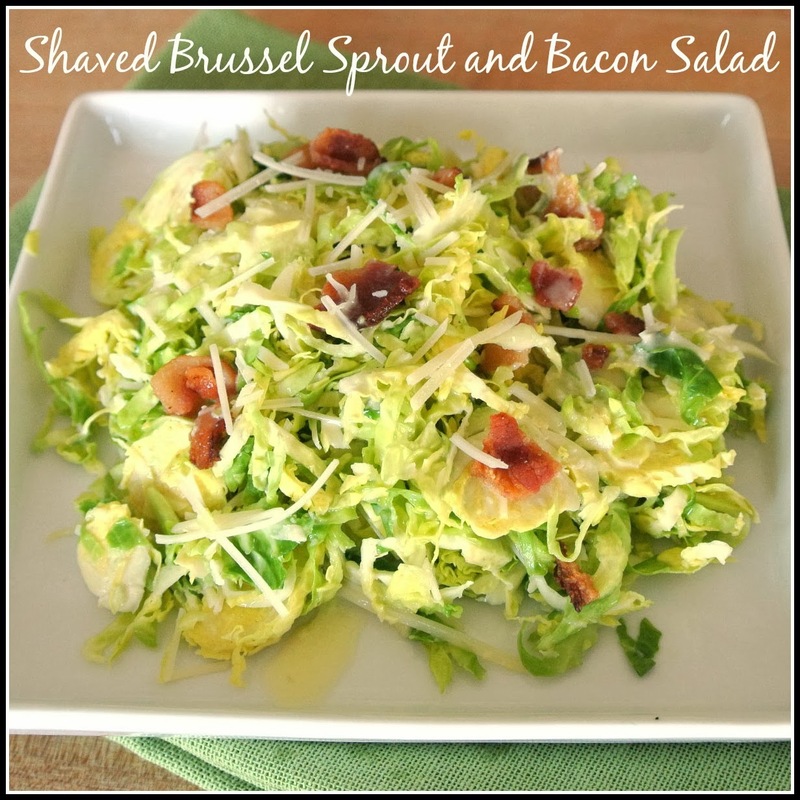 My husband has always told me that he can't stand Brussels sprouts. He also said it is a waste of time for me to make them, because he has never had a Brussels sprout he liked. So I listened to him for the longest time. I passed them up over and over again. I was never that fond of them either, so I had no issue leaving them out of our diet. With us trying to eat a huge amount of veggies, I started to get curious. So I dove in and bought a pound from our local organic market, and set out to make a Brussels sprout my husband could tolerate. I figured the key was to keep it raw. As much as people rave about caramelized Brussels sprouts, you would think we like them too, but that is not the case. We have very similar taste in vegetables. If it is soggy or mushy, we won't like it. I like texture. So I settled on shaving them, to give them more of a cabbage flavor, and it worked! We both enjoyed this salad. Suitable for a main meal, or a side salad, and very easy to make. I think it tastes even better the next day which makes this a very good lunch idea that you can make ahead of time and pack the night before. Enjoy! Shred or slice the Brussels sprouts. Slice them super thin and then break the layers apart with your hands. Fluff it up a little and you’ll get a delicate shredded texture. Place the almonds in a food processor and pulse until finely chopped. 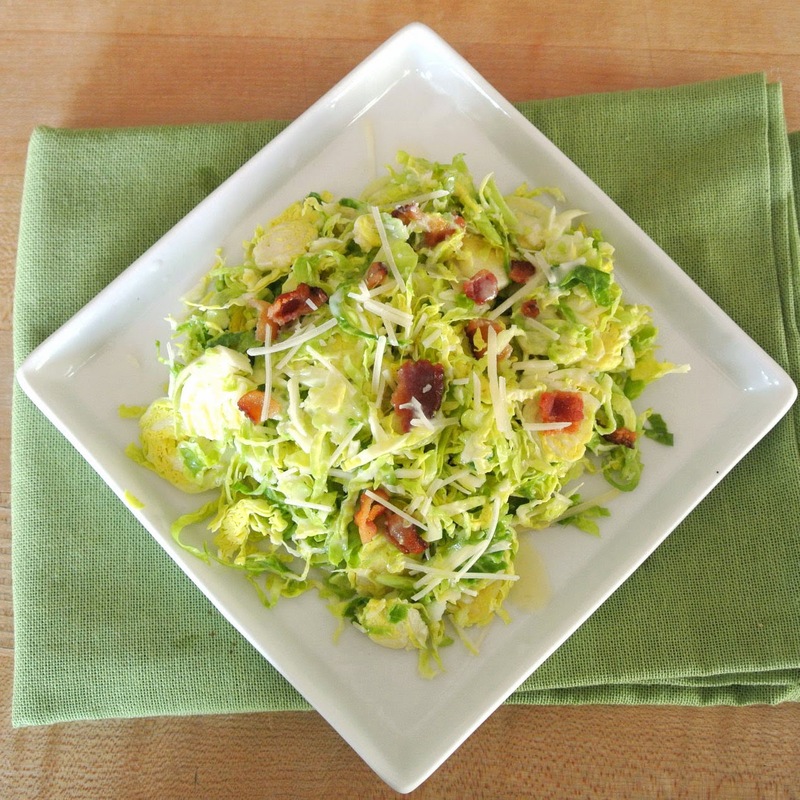 Toss the Brussels sprouts, bacon crumbles, almonds, and cheese together.